Schoolgirls from across the UK will be travelling to Plymouth University for two days of activities designed to inspire the next generation of earth scientists. 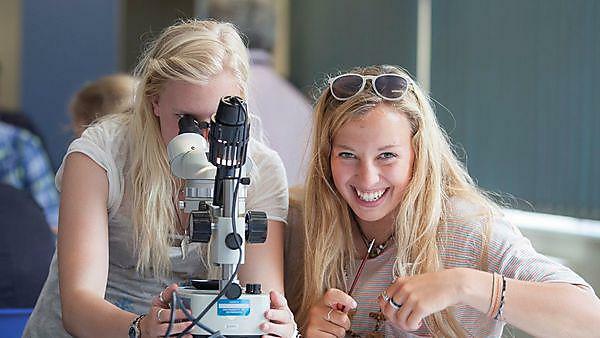 Girls into Geoscience has been running for three years, giving A-level students an insight into the possibilities available to them in the Earth Sciences. This year, 89 pupils from 26 schools will be taking part in the event, which includes a field trip to Dartmoor followed by a day of hands on workshops, seminars from inspiring female geoscientists, and the opportunity to tour the outstanding student and research facilities at the University. The event has attracted students nationally, with attendees from South West schools and from Essex, Hampshire, London, Wales and Yorkshire. The event on July 3rd and 4th complements the University’s Athena SWAN award, which recognises its commitment to promote academic careers from women in STEMM subjects. It is designed for Year 12 students just finishing their first year of A levels and starting to think about university options and applications. With an exciting programme, this year sees presentations from women in the geosciences industry, including Claire Jennings from Aquageo talking about Geophysics and seismic acquisition, and Kathryn Hadler, from Grinding Solutions and Imperial College, London, discussing Mineral Processing. Dr Michelle Harris, Lecturer in Earth Sciences at Plymouth University, will also talk on Hydrothermal circulation and ocean drilling. These talks will be followed by a series of workshops on geographic information systems (GIS), microfossils and climate, reconstructing geological time and planetary geology, giving the girls the opportunity to get hands on with geological material, and a flavour of what it’s like to study geology at University. For the first time, there will also be a field trip to look at the unique geology of Dartmoor at Great Staple Tor and Burrator Quarry. The fantastic surrounding geology makes Plymouth the perfect place to study Earth sciences. Formally accredited by the Geological Society of London, our courses provide a supportive atmosphere resulting in outstanding student feedback.